BE WILDER. PLAY WILDER. PERFORM WILDER. It is 6:30am and the darkness continues to linger. Out beyond the shadows of this mountain, beyond the waters of the Derwent River, I can see the sun streaking down onto the distant hills. But I am cast in shade, shielded by the looming Organ Pipes above. For now we are still, waiting for the tail markers to catch up and for some S.C.U.M (secret undercover closet milers – aka. run only once in a while because you love it) to munch on their almonds and banana. According to this ‘old fellas’, this is how trail running is done. 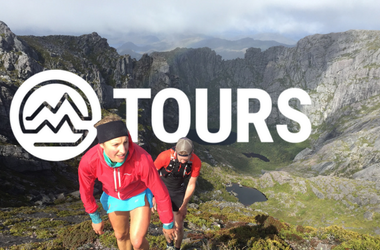 Run upwards till you meet the skyline, stop, wait, chat lots, much on the foods of monkeys and then fling yourself back down the trails to where you started. No science and definitely no emotion other than joy. Our common language is playfulness and mateship. This is where I learnt to run. Prior to these mountain ventures I was more akin to a frog. At 6:30am you would find me face down in chlorinated water and feeling cross-eyed as I fought not to think about how many more laps there was to go. I would sigh with relief when my hands hit the wall, coming up for air after another grueling set, only to know that in twenty-seconds time you would be back to it, head down, arms spinning, counting down the laps to the next pause. We didn’t eat, gosh we barely drank. It was easy to pull off three hours of travel and exercise before breakfast each day, only to return at night for another long gym and pool session. I was built solid, a teenager of muscle with the nickname of ‘Thomas the Tank Engine’. This was the life of a swimmer and where I learnt persistence, focus and how to focus your mind. By my university years, 6:30am would have me alone again on the mountain. Head torch on, running to clock extra miles and shake out my restlessness before the day’s lectures. I loved this time. The tranquility of the mountain’s vast slopes, hearing the wind rustling through the canopy of man ferns & Eucalypts… creeks running… Currawongs calling. This was my paradise and where I learnt to fall in love with the trails. At the end of the afternoon I would pack my books and pedal madly down to the Derwent’s edge or the athletics track to meet Max and his talented squad. Max Cherry with a hug bigger than anyone would put fear into your legs and love into your heart. He was our rock, our pillar of belief, the mentor who taught us to go hard or to go home. Science was rare, hard work was frequent. If you did good you might be lucky to receive a wink or a gruff handshake. If you showed attitude or emotion you would likely be sent home. This was where I learnt racing strategy, running form and gritting your teeth. Rest in Peace Max, we all miss you. You taught me how precious life is and how important it is to dream larger than you can dare to dream. Life can show you kindness and it can throw a tantrum too. When the latter happened it was Jacqui who held my reins. Our time was 6:30am, scheduled in an email from her home in Canberra. In this precious correspondence where science and World Champion experience united, her detailed sessions could make me or break me. As sunrise slipped above typical, dripping New Zealand clouds I would feel my feet skimming over the green fairways of Auckland’s most beautiful parklands. This was my playground and Jacqui was my motivation. 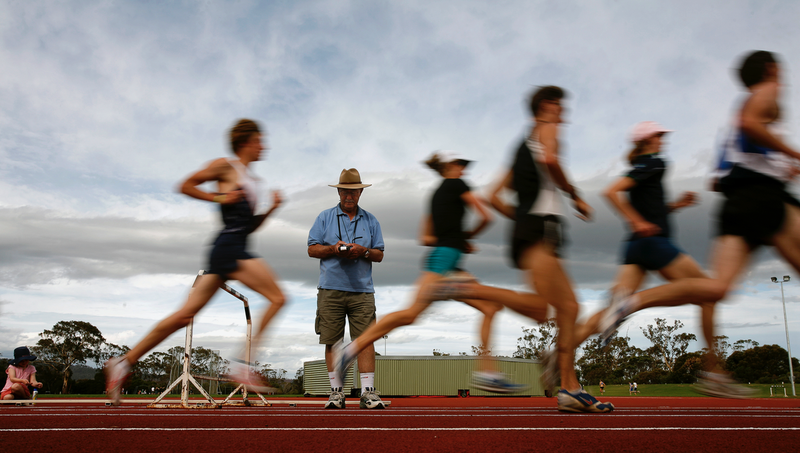 This is where I learnt the science of periodised training and skills of marathon running. When Jacqui passed away another void was created and I experienced great sorrow for a second time. My 6:30am routines blurred and I learnt that running may not always bring you pleasure or a clear pathway. The mornings merged together, a sense of play dwindled, until one morning I realized that I needed to find my feet. Like one of my mother’s quilts, I began piecing together everything that I had learned on those 6:30am mornings – the playfulness of trail running with friends; a love affair with a mountain’s silence; the freedom of running with great form; the science of marathon training; the dedication and time management of squad swimming; and the joy of running with superior fitness and form. I began to look beyond my past to a brighter future, seeking science and wisdom to fill the gaps in my knowledge. I sought new goals, finding my feet in events and personal challenges where trails, longer distances and bigger hills united. 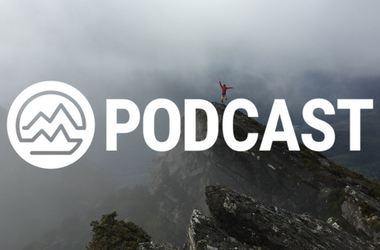 I dug into the world of nutrition, base training principles, mental preparedness and hill running technique. I added to the tapestry of my past with a bright new thread of knowledge. I redefined success and my understanding of myself. And when this inspiration threatened to overflow, I found great joy in sharing this with like-minded individuals – you. This is a compilation of everything that I know might help you. I still roam the trails at 6:30am, light from my headtorch bouncing over the rock strewn surface and gusts of wind sending leaves shimmering down through the torch’s rays. This is my study, the space where I compile my thoughts for you. The rhythm of running, the feel of ice cold air against my cheeks, the dripping nose, all of it is my inspiration for the words I write for you today. For I want you to feel this joy and that drip, drip, drip of your nose whilst you run. I want you to experience success, living in such a way where you are willing to put yourself on the edge. For me, failure is not an option. For sure, I have made a plethora of mistakes, ground to a halt mid-race, shed tears and felt horribly afraid. But none of these are failures. No! Failure to me is the unwillingness to walk to the edge, take a deep breath, and be willing to remain there until the job is as done as I can call it done. Failure is an unwillingness to be fully engaged in that moment and reveling in the task you have set yourself. Failure does not need to be an option if you prepare with care. From a past filled with your individual experiences and the voices of your mentors, you too have begun creating your own tapestry. Today I hope that you can add bright threads of knowledge to your creation through the words of this book. I hope that you can run forward with inspiration and a realization that you are never too old to succeed nor to explore excellence. And you are certainly never too old to play! May you find your feet and thrive. 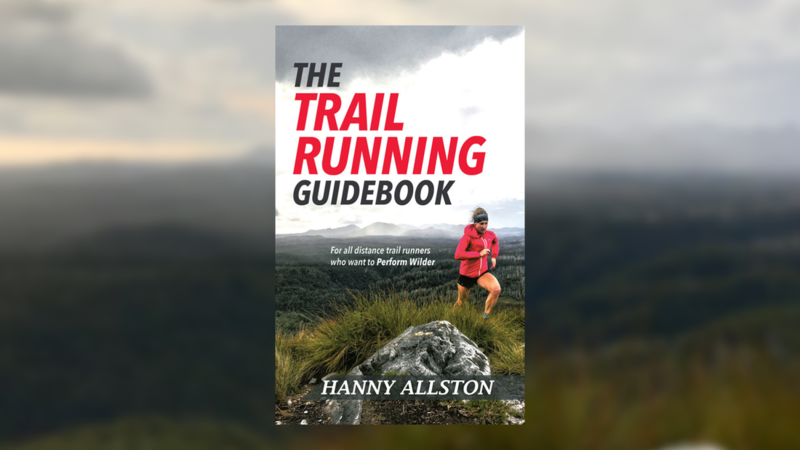 "Over the course of the last 12 months I have been working on: the production of an entirely new, professionally published Trail Running Guidebook; a whole new suite of athlete resources; and have another book in the making. Sign up to my newsletter to remain informed. Thank you too for your ongoing support."